Have fun making your own sachets, potpourri, candles and lotions with these aromatic lavender buds. The creative possibilities are limitless! 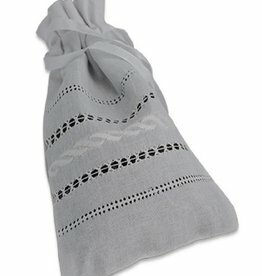 Handmade in Europe, this soft white linen sachet bag with beautiful stitching is filled with aromatic lavender buds. It makes a perfect all-occasion gift. 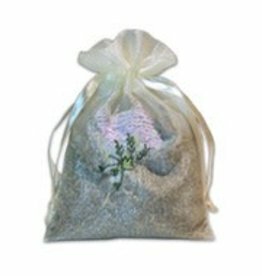 Our lavender car freshener, with its muslin bag filled with dried aromatic lavender buds, is exactly what you need to keep your car smelling fresh. 2 oz. 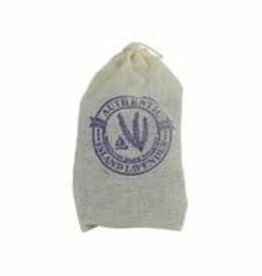 Go all natural with these lavender dryer bags filled with aromatic lavender buds. Smell for yourself the wonderful, fresh scent they add to your laundry. Who can resist adding one of these sachets to a drawer, car or closet? 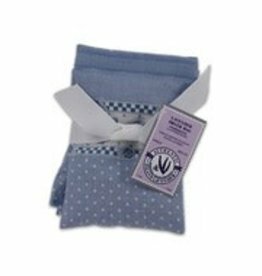 Filled with farm-fresh lavender, these lovely sachets will retain their fragrance for years! 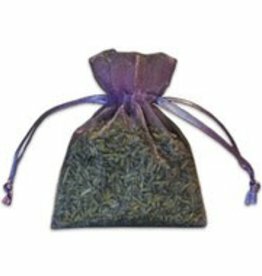 The pretty lavender sprig on this soft organza bag makes this sachet a great gift for all occasions. 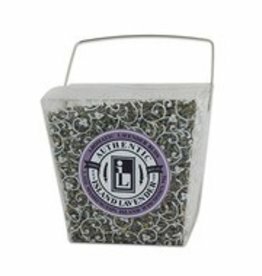 Buy one for yourself too and enjoy firsthand its long-lasting lavender fragrance. At the Island Lavender Farm and Market, located in Door County Wisconsin, we hand harvest our lavender buds and artfully distill our essential lavender oil to make over 160 products for you. We proudly farm sustainably without chemicals or pesticides.